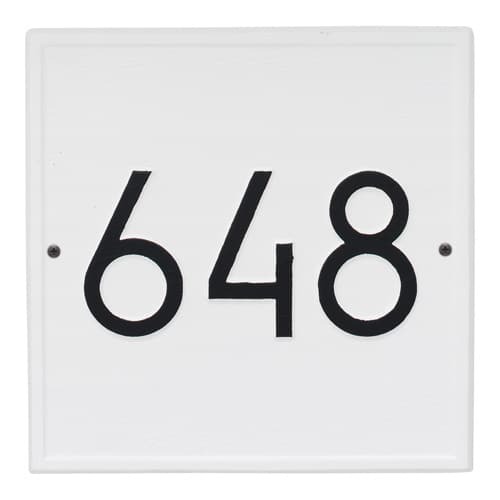 Give your home address an updated look with the Whitehall Square Modern Address Plaque, shown in White with Black house address numbers. 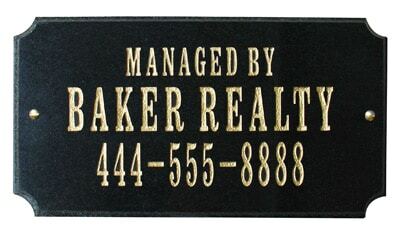 Backed by Whitehall’s industry leading 5-year warranty. 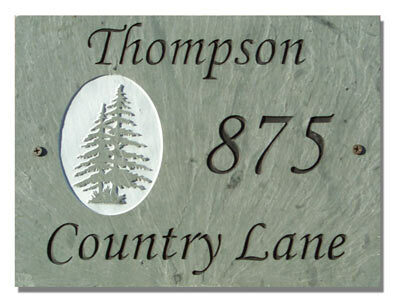 The Whitehall address plaque is designed to stand up against the harshest weather and environmental elements. 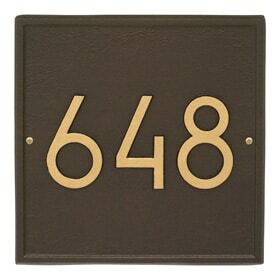 The Alumi-Shield coating on this square house address plaque creates a durable and beautiful finish. Every Whitehall wall address plaque also has a heavy-duty powder coated finish to help extend its life and maintain an attractive appearance for years. 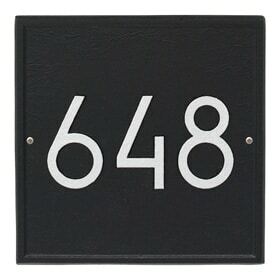 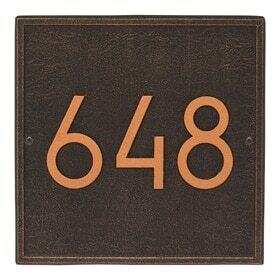 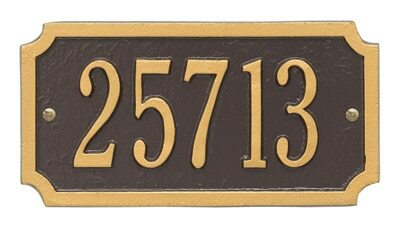 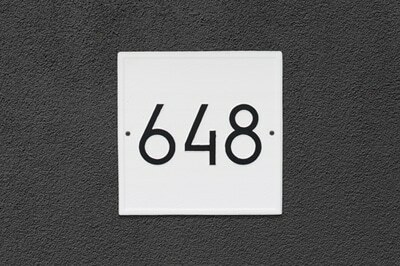 This square wall address plaque holds up to three 4” home address numbers. 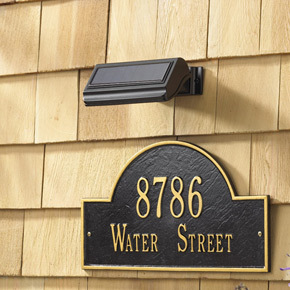 Purchase the optional solar lamp to illuminate your house address at night. 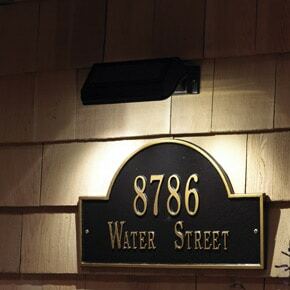 Solar lamp is designed to automatically turn on at dusk and off at dawn, lasting up to 14 hours. 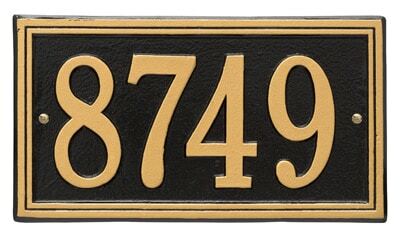 Address Plaque 11" 11" 0.325"